Buying a home is an exciting, complex and sometimes scary adventure. It can also be a very time-consuming and costly one if you're not familiar with all aspects of the process, and don't have all the best information and resources at hand. We can help....and also make it FUN! Carol and Joe specialize in representing the best interests of Southwest Florida area buyers throughout the home buying process. Our comprehensive, high-quality services can save you time and money, as well as make the experience more enjoyable and less stressful. If you're like most people, buying a home is the biggest investment you will ever make. So whether you're buying a starter home, your dream home or an investment property, why not take advantage of our experience as a local market expert for Fort Myers, Fort Myers Beach, Cape Coral, Estero, Bonita Springs, Naples, Marco Island to make the most informed decisions you can, every step of the way? Let us help you locate a great house, in a wonderful neighborhood at a terrific price. You'll be glad you did! If you are contemplating building a new home, just go to the "BUILDING A NEW HOME" tab in the above menu. You can save thousands and we will help pay some of your closing costs. Now, that's something to scream about! 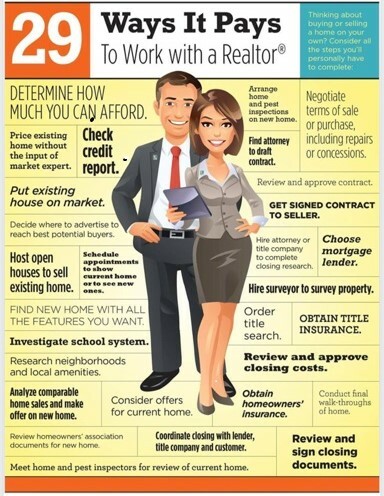 Free 14 page Comprehensive Home Buying Guide.